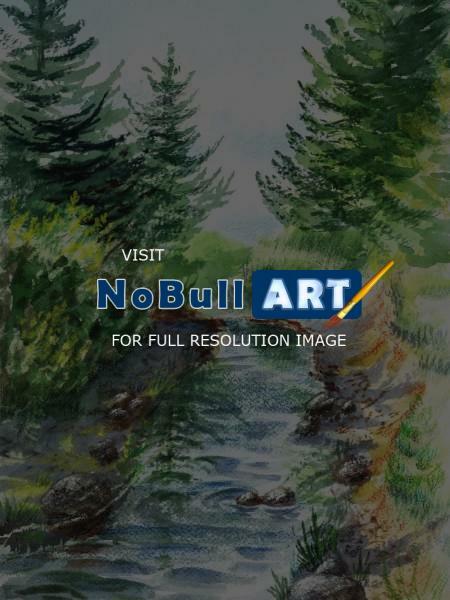 Forest Creek is impressionistic watercolor painting by the artist Irina Sztukowski. The artist created this artwork in plein-air style, using fast brush strokes, and capturing the beauty of the rising morning sun in the deep gorgeous forest. The mountain creek is rolling its waters and creating a lovely meditative scene, where you are alone but not lonely, admiring the beauty of the Nature. Great place for relaxation, to stay connected, and rejuvenate.